Coeliac disease is another type of protein intolerance, where certain peptides from gluten are toxic to the mucosal surface of the small intestine. It has been shown that certain peptides from gluten are very slowly degraded during the digestion of proteins. These peptides may trigger an immunologically based destruction of the mucosal surface in individuals who have a genetic disposition. In patients with coeliac disease, you will often find IgA and IgG antibodies in the blood. These are directed towards gluten. In addition, symptoms from the central nervous system are often seen. 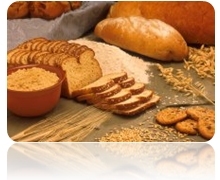 In coeliac disease it is important to maintain a gluten-free diet. This also applies to symptom free patients, or they may develop malignant lymphoma and certain types of epilepsy. Neurozym's urinary peptide analysis does not detect coeliac disease.